Profitability is a journey; not an event. The road to reviving accelerating and sustaining profitability requires a business vehicle that is checked, tuned and properly geared for success. “Accelerating Profitability” is filed with logical guidance, case studies and practical recommendations that any business owner can use in their quest to accelerate profitability. As added fuel for the journey, Alan provides every reader with website access to a wealth of knowledge and downloadable tools that will shorten the distance from the profitability Starting Line to the Finish Line. 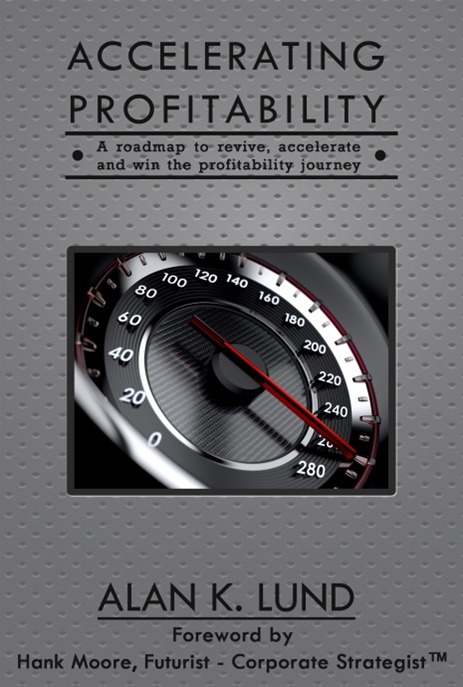 “Accelerating Profitability” is available on Amazon and leading bookstores nationwide.